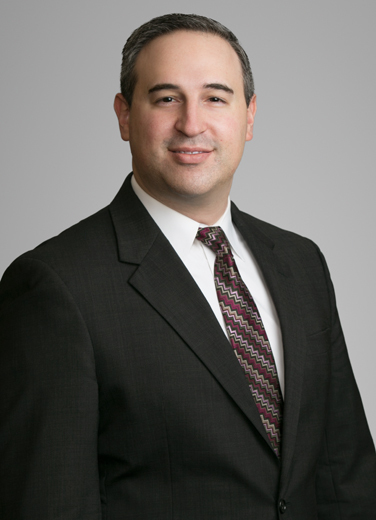 David Weiner is a real estate and business lawyer who helps businesses with all aspects of complex commercial leasing concerns, sales and purchases, and secured real estate financing. His real estate practice includes the acquisition, financing, development, leasing and disposition of real property, including office buildings, shopping centers, single-tenant commercial properties and residential subdivisions. His business law practice includes the creation of business entities, acquisition and sale of businesses, and other secured transactions. His clients include real estate developers, real estate investors, homebuilders and other individuals and business entities involved in sale and purchase transactions, development agreements, deed restrictions and formation of homeowners associations. He works with landlords, tenants and subtenants regarding leasing of office building space, shopping centers, restaurant properties, and other single-tenant commercial properties. David also deals with lenders and borrowers regarding commercial loans, primarily those secured by real property. In addition, he advises individuals and companies on the formation and filing of various business entities and with asset sale and purchase transactions. What happened: Our client was negotiating a sublease of over 100,000 square feet of office space from an existing tenant in a downtown Houston office building who was no longer occupying the space. The client needed assurances that it could continue to occupy that space even if the existing tenant defaulted under its lease. Our approach: In addition to a standard sublease with the tenant, I also negotiated a recognition agreement among the landlord, the tenant and our client. The result: The recognition agreement permitted our client to enter into a direct lease with the landlord following any termination of the tenant’s lease and also provided for payment of the rent differential (between the lease rent and the sublease rent) by the tenant to our client. What happened: Our client was building a laboratory facility in the Greater Houston area but wished to minimize its initial capital investment in connection with the construction of the facility. The client also wanted the right to expand the preliminary design of the facility to include additional buildings. Our approach: After advising the client about the potential risks and benefits of a build-to-suit lease (including those associated with the financial ability of the landlord to complete construction of the facility), I negotiated a build-to-suit lease with a developer/landlord. The lease included several protections in favor of the client relating to the landlord’s obligation to complete construction, limitations on the landlord’s ability to assign the lease prior to completion of construction, and additional assurances from the landlord’s lender. The lease also included multiple expansion options, as well as a right of first offer to purchase the property, in favor of our client. The result: The original build-to-suit lease was finalized, and then the client was able to later double the size of its facility by exercising its multiple expansion option several months later (which involved the negotiation of a comprehensive lease amendment). Our client: An office tenant in the Greater Houston area, with about 125,000 square feet of space. What happened: Our client had subleased multiple floors of its office space for higher rental rates than it was paying under its lease. The lease provided a formula for splitting excess sublease rents with the landlord, but our client had been splitting such excess rents under a different formula. The client wanted to amend its lease in order to change the rent split formula going forward. Our approach: I examined the lease provisions and excess rent payment spreadsheets and concluded that our client had been overpaying the landlord for several years. The result: Our client received a rent credit of nearly a quarter million dollars. Represented a large corporate tenant in connection with the negotiation of two inter-related office building leases covering a total of over 500,000 square feet of office space within a campus in the Westchase District of Houston, Texas, which leases included various expansion options, hold options, preferential lease rights, contraction options, and rights of first refusal for purchase of the buildings. Represented a large corporate tenant in connection with the negotiation of multiple office building leases covering a total of over 420,000 square feet of office space across multiple buildings in downtown Houston, Texas, including building naming rights and coordination with multiple lenders. Represented a large corporate subtenant in connection with the negotiation of multiple office building subleases and sub-subleases covering a total of over 545,000 square feet of office space across multiple buildings in downtown Houston, Texas, including landlord recognition agreements relating to many of the subleases. Represented a large corporate tenant in connection with the partial termination of its office building lease, including the transition and ultimate forfeiture of building naming rights. Represented a biotechnology company in connection with the negotiation of a build-to-suit lease agreement for a 275,000 square foot laboratory and manufacturing facility and related office space, which lease included multiple expansion options, a purchase option upon completion of the landlord’s work, and a right of first offer with respect to the purchase of the entire project. Represented a corporate tenant in connection with the negotiation of a multi-floor office lease for a not-yet-built project in the Energy Corridor of Houston, Texas (the first lease for such project), including negotiation of building construction issues and milestones. Represent corporate tenants in connection with the negotiation of office building leases throughout Texas. Represent a large regional restaurant franchisee in connection with the negotiation of various shopping center lease agreements for its restaurant locations throughout Texas and the Midwest. Represented a national automobile service franchisor in the leasing and subleasing of its franchised locations across the United States. Represented a large oil and gas joint venture in connection with the negotiation of multiple option agreements relating to the acquisition of nearly 300 acres of land in East Texas, together with the relocation of drill zones on such land and neighboring land, from multiple landowners and mineral owners. The transaction involved the negotiation of various ancillary agreements, including a site access agreement, an access easement, waivers of surface rights from mineral owners, modifications of existing surface rights, and a stipulation of interests to correct record title to portions of the land. Represented a large oil and gas company in connection with the acquisition of approximately 100 acres in Katy, Texas from multiple sellers, including with the developer of the surrounding properties. The transaction involved the escrow of funds for the developer’s completion of various post-closing development obligations and the administration of such escrow in coordination with the developer, the other sellers and the escrow agent. Represent a national homebuilder in connection with the negotiation of various purchase and sale agreements, development agreements and restrictive covenant instruments. Such representation recently included the purchase and development of acreage in Harris County, Texas into a single-family residential subdivision and involved the negotiation of a joint development agreement with the developer/seller and other homebuilders in adjacent portions of a parent tract, along with the negotiation of various repurchase option and right of first refusal agreements in favor of the seller. Represented a large financial institution in connection with various extensions of credit to a national auto parts manufacturer involving mortgages, deeds to secure debt, and deeds of trust on facilities located in multiple states and the coordination of title insurance policies. Regularly act as local Texas counsel to borrowers for issuance of enforceability opinions as to deeds of trust securing Texas real property.